Christmas in Edinburgh really is a magnificant time to be in the city. The winter chill kicks & the city comes alive with the Christmas spirit. 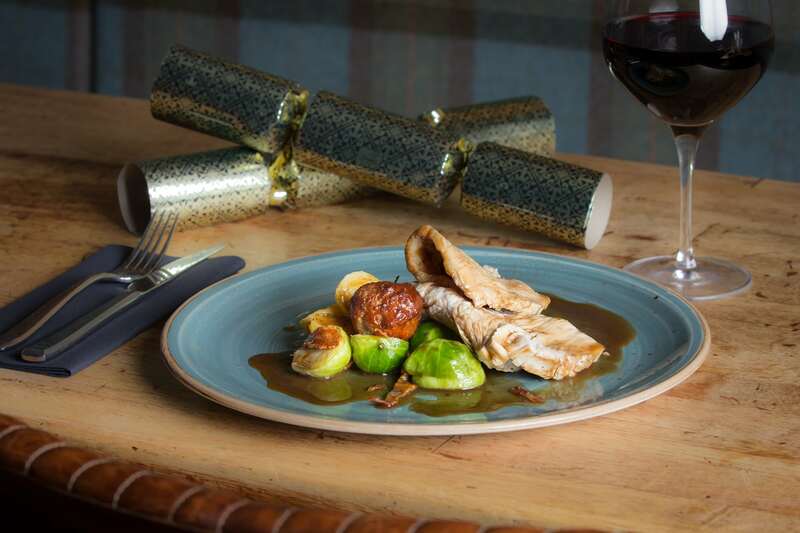 The season to eat, drink & be jolly is something we love to fully embrace & with Chritmas fast approaching we thought we would share the recipe & cooking method for rustling up our delicious hay roast turkey dish. Baste the turkey with butter to prevent it from drying out. Pre-heat oven to 200C/180C fan assisted. Cook for approximately 30 minutes per kilo. 2. In a bowl mix the breadcrumbs with the softened onions. Add the egg & season with salt & pepper. 3. Mix well then form into golf ball sized balls & place on a roasting tray. Roast in the oven (200C) for 20 minutes until crisp. Our festive menu is available by pre-order until December 24th. We will be closed on Christmas day & open on the 26th from 3pm. From all at Monteiths we wish you a very merry Christmas & happy New Year!